Unleash your creative side with our Microsoft Publisher course. Those familiar with Microsoft Word are ideally placed to learn desktop publishing skills with our Microsoft Publisher training. Over each lesson, amongst many other aspects, you’ll cover creating text boxes, formatting, navigating multi-page publications, using rulers and ruler guides and inserting headers and footers. This is a course designed for flexible learning, which means its based on self-study at your own pace. 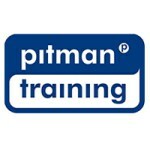 At the end of your Microsoft Publisher course, you’ll have a handy reference guide to keep – and you’ll have the power of the Pitman Training name on your CV. Once your MS Publisher training is complete, you might want to continue with a further course – in which case, we’d strongly recommend PowerPoint or you might consider seriously increasing your earning and career potential with one of our highly respected secretarial diplomas.